The Starren Group has extensive expertise in leveraging the intricate sales and distribution marketplace of Amazon. Focusing on helping manufacturers, distributors, large brands and individuals drive sales, build brand awareness and navigate a super competitive and complex marketplace. It's a jungle out there. Amazon has become the world's largest e-commerce website, so let us help you improve your product listing. We work to make sure when customers search for your product or look for an item in your product’s category they will find and purchase YOUR product (own the “Buy Box”). Amazon has a number of different selling platforms and business opportunities designed to help your business grow. With so many different options to choose from, it can be overwhelming to figure out which option is best for you and your business. Selecting the correct option is critical, so let us help you make that decision. Click the links below to learn more about how we can help take your business to the next level. ﻿Before you can start thinking about selling your product(s) on Amazon you need to fully understand the different selling options that Amazon has to offer. Continue reading to get a better understanding of some of the options available for your business. The Starren Group leverages the Amazon marketplace to help businesses increase their product visibility and drive sales. We specialize in product page optimization, winning the "BUY BOX" and creating custom Amazon marketing campaigns. Amazon is the #1 e-commerce store in the world and is the place shoppers use most to find products. Nearly 50% of all consumers looking to purchase a product go to Amazon first. Read more to see why Google has called Amazon its biggest competitor. WHAT IS AN AMAZON CONSULTANT? As described above, Amazon can be very complicated. If you are unfamiliar with how the different Amazon sales channels work, you can spend countless hours trying to get your Amazon business off the ground. You need to select the best sales platform for your product, set your business account up correctly and get your products listed properly. Now the difficult part; generating sales and driving customers to your product pages. 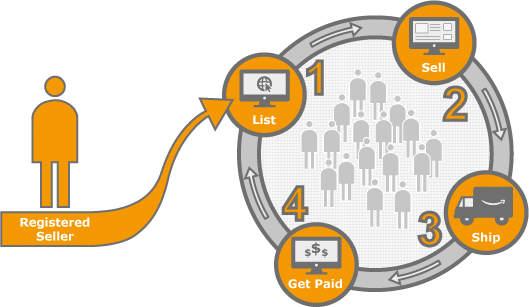 Let our team navigate this process for you and start building your Amazon Sales revenue. Most of our clients have two objectives once they decide to sell their products on Amazon. First, getting their product(s) listed and second, generating sales. Getting your product listed the correct way can be both time consuming and frustrating, especially if you have a number of different products with different colors and sizes. There can also be barriers to entry if your product falls into a restricted category. Amazon has "gated" or Restricted Categories that need specific approval from Amazon to authorized the seller to list their products in that category. Our team will assist in getting your products approved for those categories. Now that your product(s) is finally listed on Amazon there is a good chance your product is in a sales category that has thousands of related products. Inexperienced sellers believe in the motto "If you list it, the buyers will come". Unfortunately 99% of the time this does not work. Your product will be buried at the bottom of the search results page. We will optimize your product page to improve the items visibility vs. competitive products and increase daily sales. One strategy is to leverage the promotional and marketing opportunities that Amazon has to offer to create custom programs that will maximize your budget and get results. As Amazon consultant we are here to help companies throughout the entire Amazon process. We will recommend what selling platform will work best for your company (take a look at the different ways you can Sell on Amazon). We will ensure your products are delivered to Amazon fulfillment centers correctly so there are no processing delays and your products will qualify for Amazon Prime. Amazon is an amazing sales platform if you know how to use it. We have spent years increasing our knowledge base of the Amazon marketplace, so let us help you grow your business and take it to the next level. The Starren Group "Team Pledge"
We take pride in establishing positive partnerships with all of our clients and strive to offer a superior customer service experience. We will take the time to understand what you business goals are so we can create a successful sales program that will maximize your resources and budget. The Starren Group offers a unique, affordable and time sensitive approach to increase sales and brand visibility with NO upfront cost or long term contracts. Amazon® and Amazon.com® are Registered Trademarks of Amazon.com. The Starren Group, Inc are independent consultants and are not affiliated with, owned by, nor endorsed by Amazon.com. All contents © 2017. The Starren Group, Inc. All rights reserved.